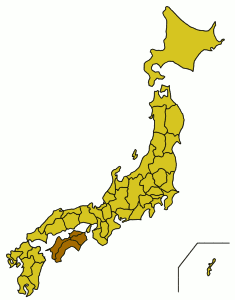 Japan is made up of four main islands, and Shikoku is the smallest of these (you can see its location on the map above – the dark island towards the south of Japan). Although I have travelled quite a bit around Japan, unfortunately I haven’t yet made it to Shikoku. Now, the “88 Sacred Temples of Shikoku” (a 1400km journey) is Japan’s most well-known pilgrimage route and oldest tourist trail. 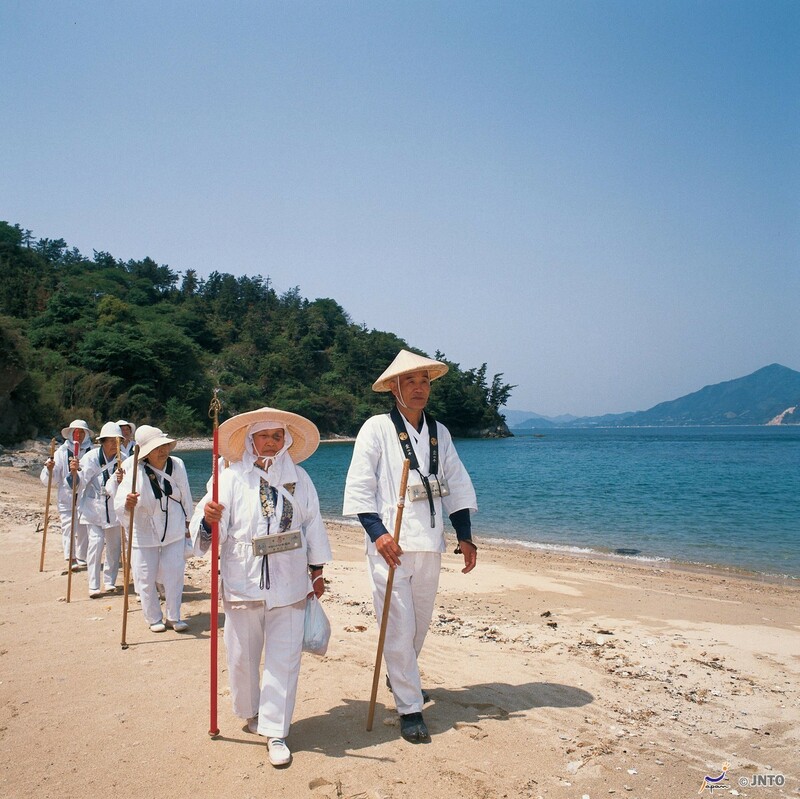 One place in Shikoku that I’ve had my eye on visiting for a long time is Naoshima (直島). Naoshima is a small island just off the main island of Shikoku (in the Seto Inland Sea, but still technically part of Shikoku), and it’s famous for being the “art island”. Inside Japan Tours say, “Hailed as one of the ‘seven places in the world you should see next’ by Conde Nast Traveller, Naoshima is a unique destination within Japan, with an international, original approach unlike anywhere else in the country. 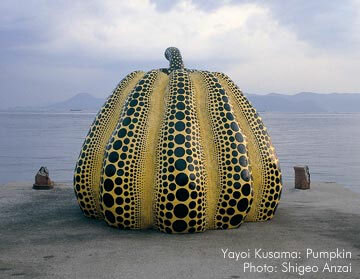 As part of the art route throughout the Inland Sea, a visit to the island takes you just a couple of hours from the main tourist route, but a long way from the ubiquitous crowds, high rises, shops and stereotypes found elsewhere.” With contemporary art galleries and museums, as well as outdoor exhibits, Naoshima is the place for art lovers in Japan. Shikoku is probably not the place to go if you’re looking for bright city lights and modern technology, but if you’re after traditions and beautiful scenery, Shikoku should be high on your list. Once only accessible by ferry, Shikoku is now connected to Honshu (Japan’s main island) by three bridge systems. Most people travel to Shikoku either by train from Okayama or highway bus from Osaka, Kyoto and Tokyo. It’s also possible to travel there by air. I’ve been thinking a lot about Japan today and reading about Shikoku tonight has made me really want to plan a trip. I would love to take a few months off just to travel, and visit each of the main islands of Japan. I’ve seen a lot of Honshu, but have barely scraped the surface elsewhere. For more information about Shikoku, take a look at this Shikoku tourism website. Japan-Guide also has some useful information. I think I hugged that pumpkin in Fukuoka. I would love to visit 四国!! I recognize 四 as the kanji for the number 4. What does the kanji 国 mean? 4th region maybe?